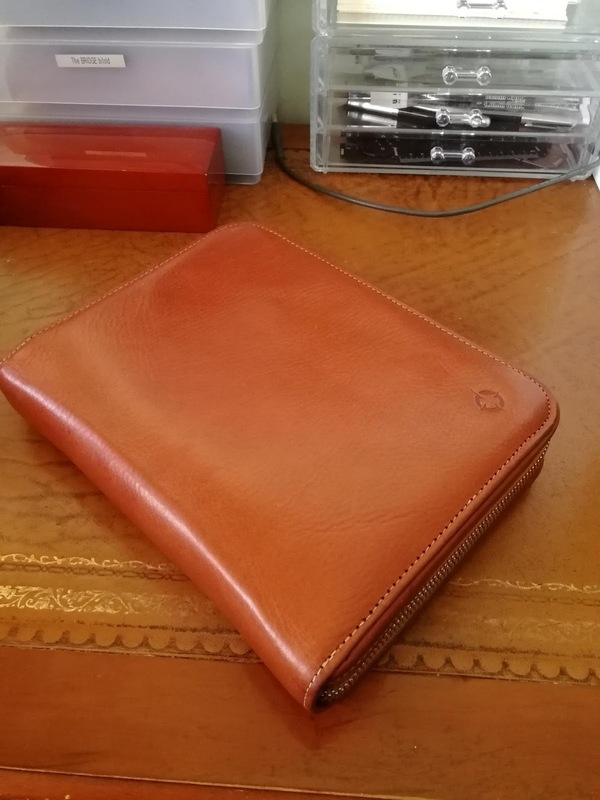 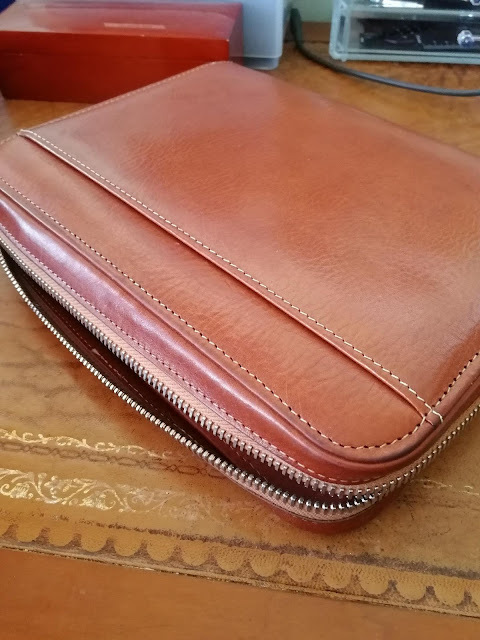 One of my most beautiful organisers, the Franklin Covey full grain leather tan zipped organiser binder. Its a Classic A5 size with 30mm rings, lots of storage yet seems fairly slender and compact to travel with, due to the rounded edges and zip closure. 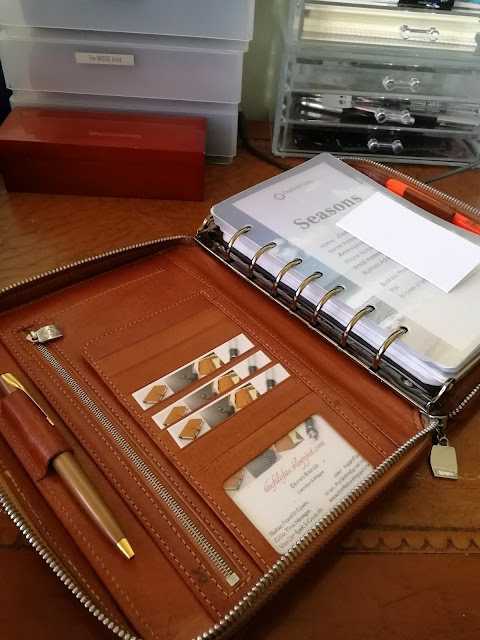 I bought this in 1999 from America and although I have used other A5 organisers since, nothing else I have used has the same combination of quality, practicality and raw finesse.